Trump cancels the summit with North Korea's Little Rocket Man for 'angry statements' that followed Trump spoke persons such as Bolton stating that they were planning a Libya model for North Korea's future i.e. regime collapse. Whilst the announcement may have come as a surprise to the mainstream press. However, as my article of 2 weeks ago illustrated that I thought that even if a meeting took place between the two that it would not amount to more than a publicity stunt for Trump's ego who feels he's due a fake Nobel peace prize like the one handed out to Obama for apparently just getting elected. The big picture as illustrated by in-depth analysis of BEFORE Trump took office is United States under a Trump Presidency galloping towards War with China. 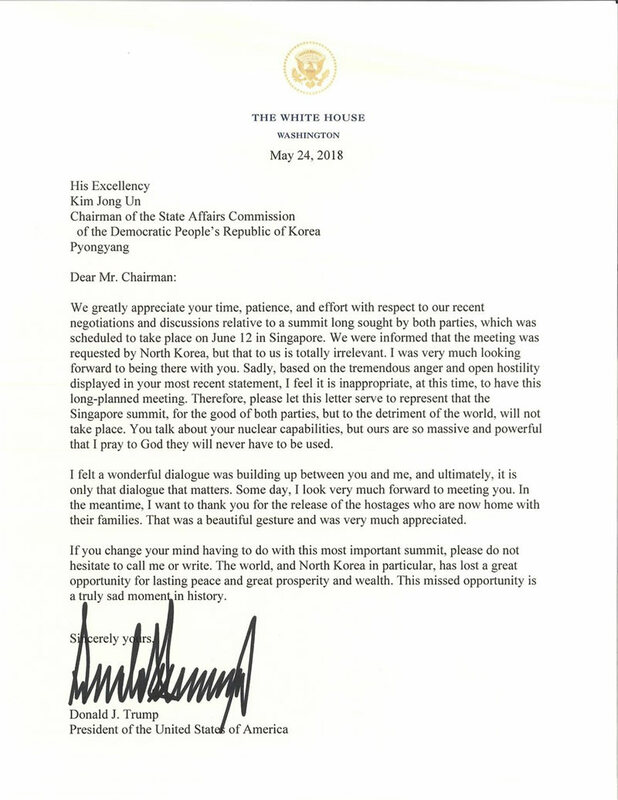 And here is the letter sent to Little Rocket Man on Friday that it is likely was written by Trump himself. The letter implies that Trump is still hoping for that Nobel price, but if it doesn't happen then he is prepared to go in all guns blazing for regime change Libya style that the likes of Bolton keep iterating. 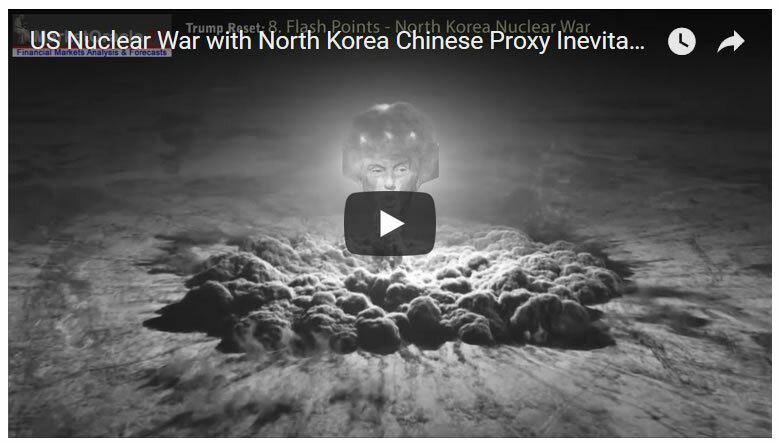 Whilst Little Rocket Man's North Korea has always been just one of a dozen flash points / proxy wars that the US and China are engaged in against one another as my following video illustrates which IS counting down towards an INEVITABLE nuclear confrontation as China attempts to punch a hole through the ring of US military bases that encircle China and its inevitable nuclear war consequences.